We will photograph Lake Tahoe’s pristine splendor. From the sunrise on Mt. Tallac, to crystal clear Emerald Bay and Sand Harbor, to alpine Lakes and Waterfalls of Lily Lake and Cascades Lake. Lake Tahoe provides one of the world’s most beautiful and unique landscapes and wildlife species. 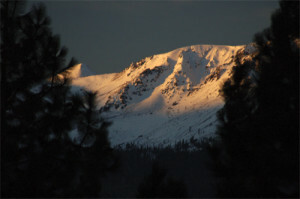 We will meet near South Lake Tahoe to photograph the Sunrise on Mt. Tallac with the vista of the lake . We will proceed through South Lake to Emerald Bay to photograph the bay, Cascade Lake and Waterfalls. We will head back a couple miles to photograph Tallac Historic Site and it’s homes. We will then take a lunch break along the beach. Around 4pm we will depart to our sunset location near Sand Harbor. Each location offers a variety of subject matter and wildlife. We have designed this trip with superb comfort and quality in mind. For these reasons, we have purposely limited this trip to only 12 photographers, and with 3 instructors. Having a small group allows us to be highly efficient while ensuring personal attention and the ultimate intimate educational experience. You will need provide your own transportation. Our Workshops require the consistent creative control of a Digital SLR Camera (DSLR) to get the most out of your learning experience. We will be utilizing the camera’s Aperture Priority, Shutter Priority, and Manual modes, and multiple lenses if you have them. 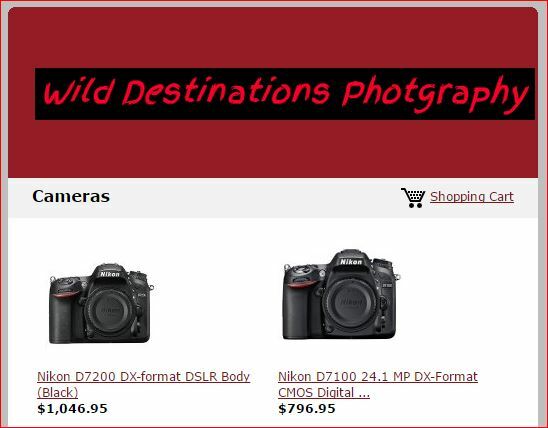 We teach all brands and models of Canon, Nikon, Sony, Pentax, Fuji and more! Tranquility and Stability are prime in Photography. To achieve this, we many times need a sturdy tripod will help improve your compositions and get sharp images. 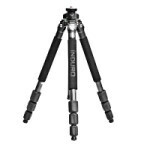 A tripod also allows you more time to determine what settings and focus you need to execute your creative insight. Since we go through all the trouble to place out camera on a sturdy tripod, we would be doing our image a dis-service is we didn’t keep our hands and body motion away from the camera. 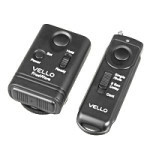 A shutter release allows you to do that. This helps ensure a sharpest photo especially in long exposures in dark areas, or at night. 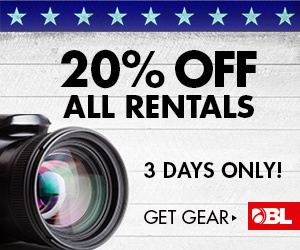 They are very affordable to affordable and a necessary tool to have in your camera bag! Try to cover a range from very wide (17-20mm), for landscape images, to zoom ranges (100-400mm) for wildlife. It’s not uncommon to see wildlife on workshops (even those structured for landscape instruction), so it’s best to be prepared, if possible. We also encourage you to bring other lenses, like a macro or fish-eye lens if you have them, because there are always endless creative possibilities to be found on our workshops. We do a great deal of work with filters in our workshops, so, if you have them, bring them. We highly recommend a Circular Polarizer, and a (3 or 4) soft-step graduated neutral density (GND) filter. We also use straight neutral density filters, which will help us get longer exposures in all times of day, but this isn’t as important as the first two mentioned. We have a few extras that can be loaned out, but you’re going to love what you see with the filters, and you’ll want to have your own. Bring at least 1 or 2 extra batteries. Batteries drain much quicker while using long exposures and in Cold temperatures. Just like running out of Memory Space to save that perfect last image of the day, dead batteries can spoil the trip. 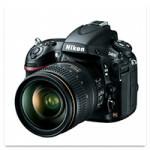 We will be instructing on the benefits of, and encouraging to shoot in, the superior RAW format. RAW images take up more space on a memory card. Having multiple memory cards will be to your benefit. Wear good, comfortable walking shoes and wear / bring layers of clothing you can add if/when temperature and wind conditions change, and they probably will. Snacks and water are supplied on 2 and 3 day workshops. On one day workshops, we stop for lunch at a local food establishment and you can buy meals or eat what you have brought for yourself. Lodging and meals are not included. We will take a break mid-day for lunch and rest. We will meet at the top of Kingbury Grade (Hwy 207) near South Lake Tahoe and work our way around the lake. More details after sign-up. Digital photography offers unique learning opportunities. Being able to instantly reviewing images , we can review exposure, composition and histograms, and suggest corrections if needed. All students are expected to arrive on-time per the instructions and to work together as a group to learn, not only from instructors, but also from each other. Each Expedition and Workshop suggest different Things to Bring. Please read the “What To Bring” Tab on the individual Expedition and Workshop page for specific details. Many workshops focus on landscape photos, but wildlife might appear providing the perfect scene to photograph them in their natural habitat. It’s always better to go into the field with slightly too much gear. Each student is responsible for their own transportation to and from the workshop meeting location. >> Does weather ever alter or cancel events? Only if conditions pose a safety risk. Often, poor weather can make for dramatic photographic opportunities, so if rain is forecasted, pack a light jacket or rain poncho and bring something to keep your camera dry (a hotel shower cap is ideal). >> What happens if I have to cancel? These workshops will help you develop technical and creative skills to produce photographs at a Professional level while you build friendships and have fun!